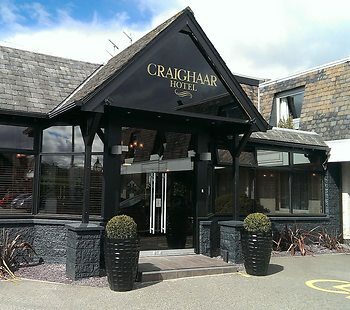 Craighaar Hotel, Aberdeen, United Kingdom - Lowest Rate Guaranteed! With a stay at Craighaar Hotel in Aberdeen (Bucksburn), you'll be within a 15-minute drive of Aberdeen Royal Infirmary and Aberdeen Exhibition and Conference Centre. This 4-star hotel is 4 mi (6.5 km) from University of Aberdeen and 4.8 mi (7.7 km) from His Majesty's Theatre. The staff were friendly and I was pleasantly surprised with my room. It was not what I was expecting at all. Location very good staff very helpful quality of breakfast very good. A little tricky to find. The evening meal tastey and hearty. The service at the table was very good although a little too business like for my personal taste. The hotel fell well within my expectations. Ideal for airport,saff friendly and helpfull,relaxing bar,good choice of food. It was a nice relaxing place to stay. We had a very good stay - the room was very clean and had everything we needed.